Delivery is approximately 10-14 working days on stocked items. This timescale is based on confirmation of the order with either a deposit or full payment. However, if the order is more urgent we will endeavour to help you meet your requirements and the delivery time can often be much faster, so please inform our sales team if an order is required more quickly. Deliveries are generally 10-14 days from payment, but we can usually arrange faster delivery if required. We can often offer specific days and be flexible with delivery dates depending on circumstances and subject to availability. 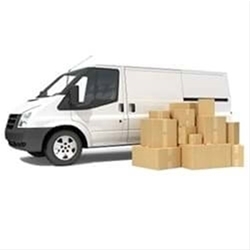 We understand that not all venues are staffed all day and do our best to arrange a delivery that suits the customer’s individual requirements. The vehicles are manned by one person and they are able to unload within a reasonable distance from the vehicle. In order to keep delivery costs to a minimum, the standard delivery process is to send one person, therefore they may ask for assistance with larger items. If this is not possible, please ask for a quote for a two person team at point of enquiry/sale. The driver will ask for a signature once the goods have been unloaded. This is to confirm all items are present. Any damages should be reported within 3 working days. PLEASE RETAIN ALL PACKAGING/BOXES IF YOU WISH TO EXCHANGE OR RETURN GOODS. ANY TABLE TOPS WHICH HAVE BEEN CONNECTED TO A BASE CANNOT BE RETURNED OR REPLACED. 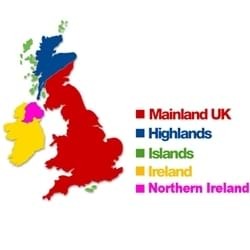 Deliveries to the Highlands usually take slightly longer than the standard 10-14 days and may take between 14-21 days depending on your location and delivery scheduling. Please do call the office to check timescales if you need a delivery faster, as in most cases we can offer quicker delivery where required. The minimum order value for delivery to the Channel Islands is £750.00 before VAT. Delivery will either be made on our own vehicles or using a haulage company depending on the content and value of each individual order. Delivery timescales will vary and can be discussed at the time of quote/order. The minimum order value for delivery to Ireland is £750.00. We use an Irish haulage company to deliver to Ireland and the cost will be dependent on each individual order. Delivery cost and timescale information can be provided at point of quote/order. The minimum order value for delivery to Northern Ireland is £750.00 + VAT. We use an Irish haulage company to deliver to Northern Ireland and cost will be dependent on each individual order. Delivery timescale will vary and can be discussed at the time of quote/order.